I’m guessing that you hate grammar. Most people do. So many rules and so many exceptions to the rules! Sometimes you need to learn by heart and sometimes you need to just hear it and feel it. One of the things that you need to learn by heart until it becomes second nature is correct use of pronouns. Reflexive pronouns in particular seem to cause a lot of problems. You should be keeping both a written and a spoken diary. 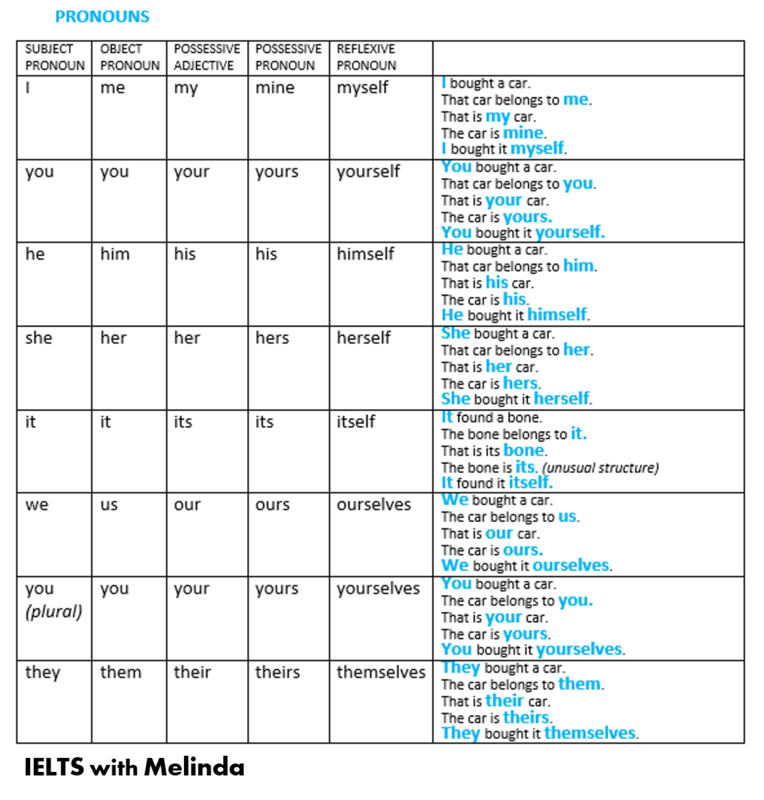 Practice using pronouns correctly in your writing and in your speaking.